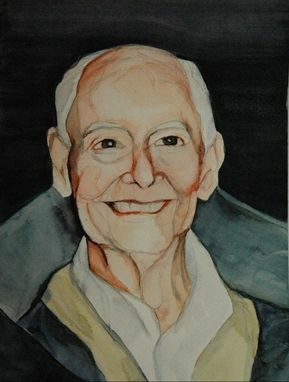 A watercolor on paper portrait of my grandfather as a gift for a family member. This is a realistic 8x10 portrait. Unframed.